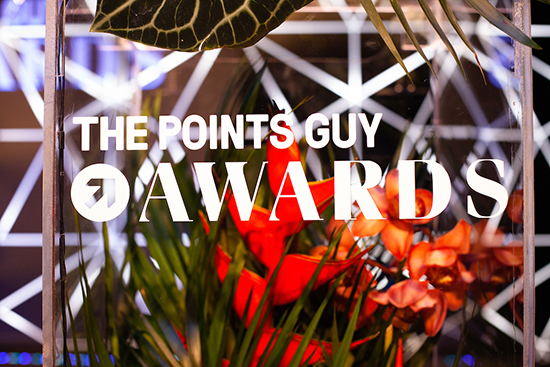 The first ever Points Guy award show was a high-flying event. 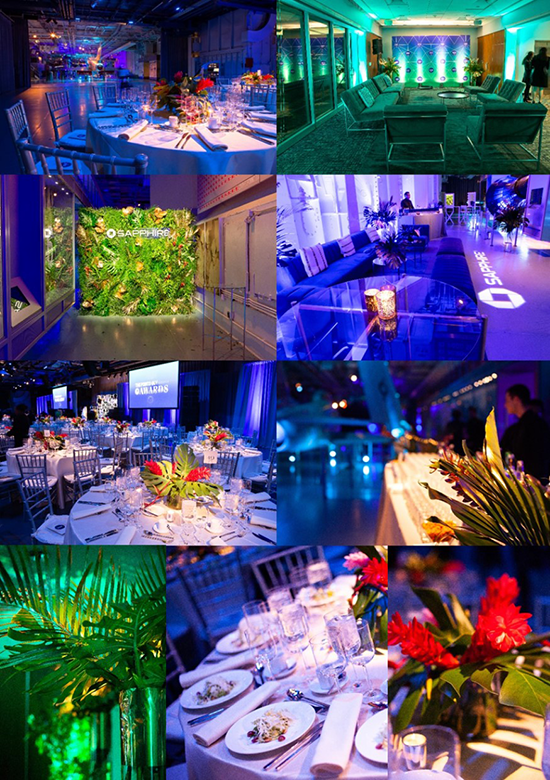 The entire hangar deck was completely transformed in business-class fashion into a red carpet experience. Guests were greeted in hangar 1 with photo booths and a green media wall where press awaited the 500 star-studded attendees. Hangar 2 was set up with special glam stations, a lounge area with more unique step-and-repeats and photo booths, quickly turning this into an insta-worthy event. After some mingling with The Points Guy himself, guests were led into hangar 3 where they enjoyed a seated dinner amongst their colleagues and friends. The awards stage was fabulously decorated with a simple yet modern pattern featuring eye-popping exotic florals that also graced the tables as centerpieces. The most exciting transformation of the night was the gorgeous green VIP room that accommodated the stars of the evening. The Points Guys awards was truly a spectacular evening and one we won’t soon forget.